Bollywood actress Kangana Ranaut is someone who is much spoken about everything and she has never been scared of saying anything on any issue. These days Sanjay Leela Bhansali's film Padmavati is one of the biggest discussions of the Bollywood corridors. When the whole Bollywood is speaking in the support of Padmavati, the queen of Bollywood, Kangana Ranaut has remained silent on the whole controversy. Recently, the actress kept herself quiet and refused to say anything on the matter when she was approached by a leading media tabloid. 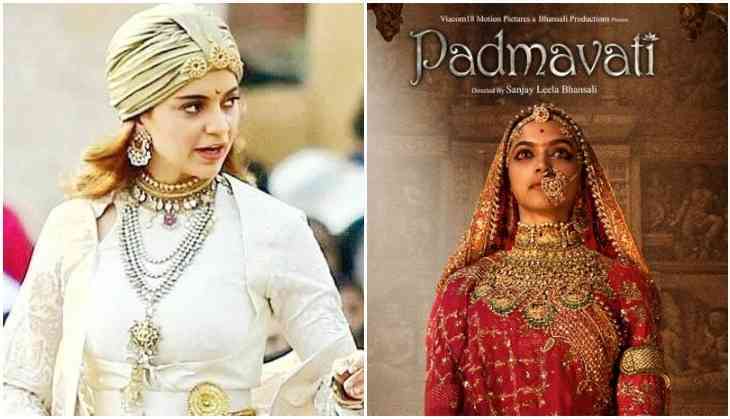 Now this is something which has, reportedly, shown the direct rivalry between Deepika Padukone and Kangana Ranaut at a time when the whole film industry has come out in the support of the film. Talking about Padmavati, the Rajput Karni Sena has given death threat to the filmmaker Sanjay Leela Bhansali and actress Deepika Padukone. The release of the film also has got struck in the controversies. Well, many are saying that there are some personal and professional reasons because of which Kangana has not spoken about this issue. According to some sources, when Kangana was dealing with the whole controversial issue with Hrithik Roshan that time nobody from the industry came to her support. Even now Kangana's new film Manikarnika - The Queen of Jhansi is also going to release soon so in that case the actress doesn't want to take any risk while speaking on Padmavati. The Manikarnika makers also have suggested her to keep quiet on this whole controversy. शहीद भगत सिंह ने फांसी की कोठरी में रहकर भी हिला दी थी अंग्रेज हुकूमत की नींव, ये हैं सबूत!